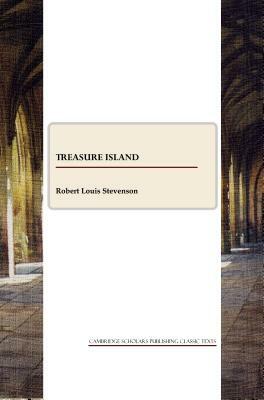 Treasure Island is Stevenson's first novel and still one of his most-read and best-loved works, a classic romance fantasy tale. Robert Louis Stevenson was born in 1850 in Edinburgh, the son of an engineer. He briefly studied engineering, then law, and contributed to university magazines while a student. Despite life-long poor health, he was an enthusiastic traveller, writing about European travels in the late 1870s and marrying in America in 1879. He contributed to various periodicals, writing first essays and later fiction. His first novel was Treasure Island in 1883, intended for his stepson, who collaborated with Stevenson on two later novels. Some of Stevenson's subsequent novels are insubstantial popular romances, but others possess a deepening psychological intensity. He also wrote a handful of plays in collaboration with W.E. Henley. In 1888, he left England for his health, and never returned, eventually settling in Samoa after travelling in the Pacific islands. His time here was one of relatively good health and considerable writing, as well as of deepening concern for the Polynesian islanders under European exploitation, expressed in fictional and factual writing from his final years, some of which was so contrary to contemporary culture that a full text remained unavailable until well after Stevenson's death. R. L. Stevenson died of a brain haemorrhage in 1894.